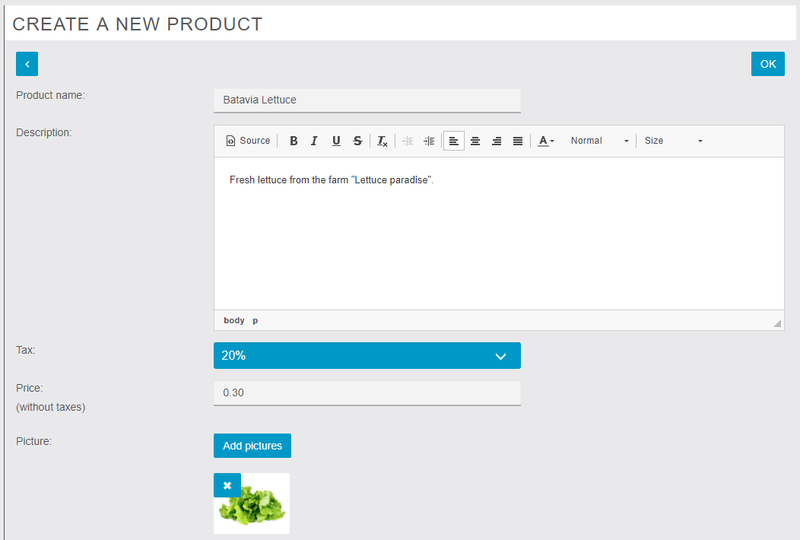 With the Commerce feature you will be able to sell your products from one or several store. Users will be able to pay online via Paypal or Stripe, to pay at your store or at the delivery. Note: Every stores you will create, will have the same catalog, see it like a “franchise”. Then add your payment options. If you choose Paypal, you’ll need to do some mandatory operations in your Paypal account, click here to see how you have to set up your Paypal account to enable it in your app. You can also pay by credit card when you pick up your order / upon delivery or you can directly pay by credit card online. 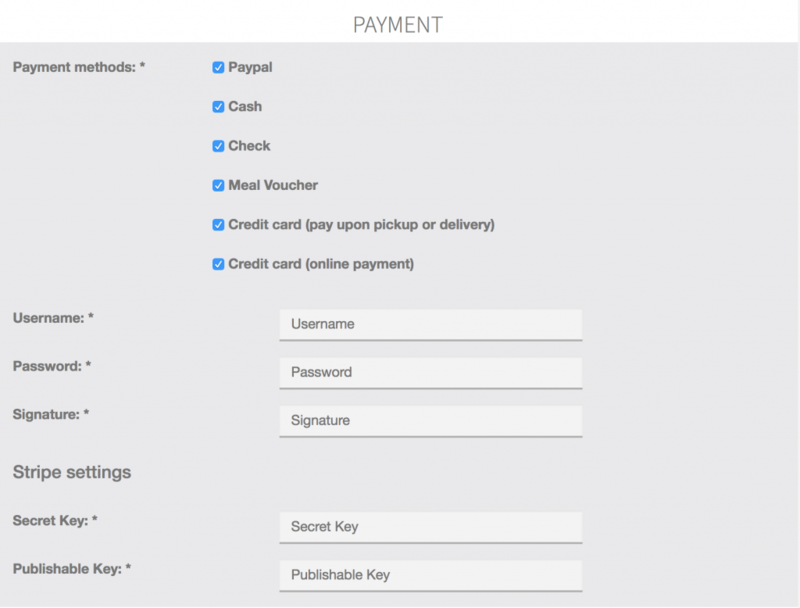 To do that you just have to select the option “credit card (online payment)” and fill out the two sections “Secret Key” and “Publishable key” you obtained on Stripe. If you don’t know these keys, just check out this page to know how to get them. You can add some sizes/variants to your product. Switch on Product Formats and then fill out sizes/variants information of your product, with a price for each. Note that if you activate this function, you won’t be able to change the price of your product in the main menu as you did just before. The price displayed in the app will be the smallest one (“from 0.30€” for example). You can also add some options to this product. By options we mean sauces, complementary products, etc. If you check “at least one option is required” the user will have to choose from the sauces you offer when he orders the product. He will not be able to order without choosing one of these options (that’s useful when you have many sizes for a product, as we will see next). Don’t click on yet, click on next to “Add options” and add the name of the options you want. And click on at the top of the page to save your product. If you have many products in the feature, it can be difficult to scroll to find the one you are looking for. That’s why we implemented a search bar, where you can type its name and find it easily. In the “Orders” menu, you will be able to see and manage the orders you receive. 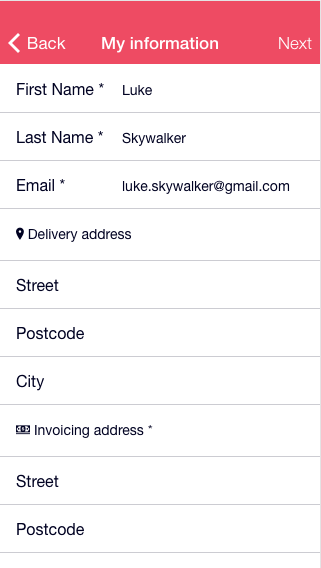 Furthermore, if the user has already created an account in the app and is logged in, some information will automatically be retrieved by the MCommerce feature to fill parts of the form, as you can see in the example above. – or you have not associated the product to a tax.